Lighting your winter fire needs to be quick and easy. No need to waste time screwing up balls of newspaper or getting out those paraffin firelighters; just one flamer will do the trick. With a bit of kindling and a couple of smaller kiln dried logs to get the fire started, it’ll soon be roaring! 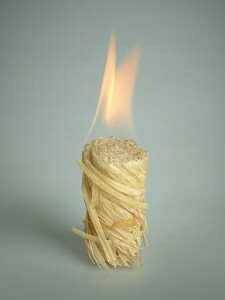 Flamers Firelighters can also be used for summer fires too. Whether camping with the family or sitting on the patio around a Chimenea or firepit, you should always have a pack of flamers on hand. And don’t worry about the great British weather; Landrover Magazine rated Flamers Firelighters very highly in their test and even pointed out that Flamers will still light easily even when wet!